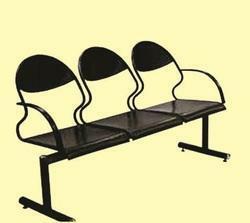 Pioneers in the industry, we offer three seater chair ltsc - 502, three seater chair ltsc - 503, three seater chair ltsc - 504, three seater chair ltsc - 505 and three seater chair ltsc - 506 from India. Price as per photo. Totally chrome finish & stand powder coating. 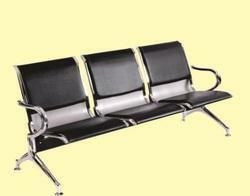 Useful for any public place, such as hospital, park, any type of waiting place. Very useful & stylish product. Price as per photo. Totally chrome finish & stand powder coating. 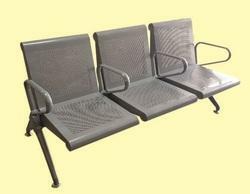 Useful for any public place, such as hospital, park, any type of waiting place. Seat material rexine & foam. Cushion finished. Very useful & stylish product. Totally chrome finish & stand powder coating. 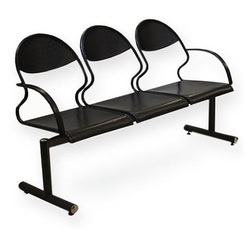 Useful for any public place, such as hospital, park, any type of waiting place.